Motorhomes over the past few years have really taken off and become one of the most popular ways for people to holiday. With the freedom to become completely nomadic and follow the British summer around the country. 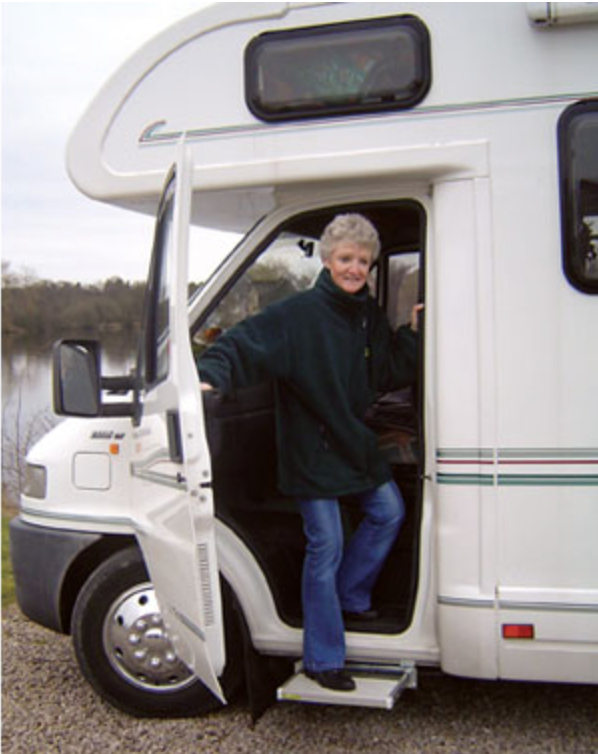 Motorhomes stereotypically have higher ride heights than other road vehicles, mainly to make them as comfortable as possible when driving with heavy loads. This can cause problems when getting moving in and out. AVS steps specialise in this sector, working with motorhome steps from brand new vehicles to those who just require some aftermarket modifications. With over 15 years experience in the leisure industry AVS offer the highest quality range of steps. All of which have been tested to meet quality control standards. AVS offer a variety of different steps from the top range SLE 450 and 500 to a number of manual steps; there is something to suit every type of vehicle. The SLE 450 and 500 make the perfect motorhome step down to the reliable, robust and slim design. The thickness of the step measures just 46mm and features molded corners and a neat tread design making them a stylish addition to any motorhome. SL series has a number of optional extras that can be selected to suit your needs, these include fully automatic operation, illuminated front edge and touch sensitive detention strip which is run from a separated circuit making it unaffected by dirt and mud ideal for campsites. Along side fantastic products, AVS also offer a 5 star service with onsite fitting and warranty. For more information on motorhome steps, please visit the AVS website.